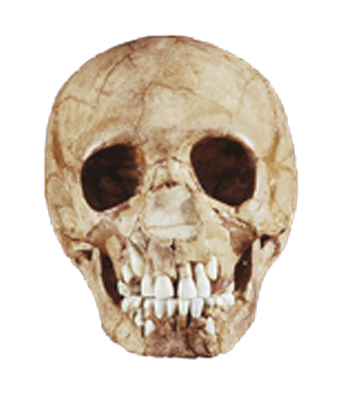 In August 1856 Neanderthal 1 was discovered in the Feldhofer grotto, in the Neander Valley, Germany. 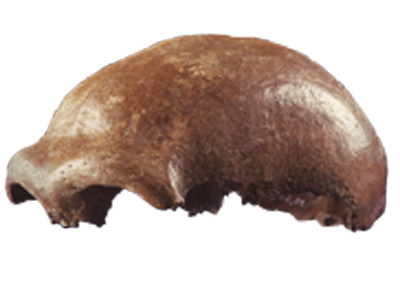 The material recovered consisted of a skull cap, two femora, the three right arm bones, two of the left arm bones, part of the left ilium, and fragments of a scapula and ribs. 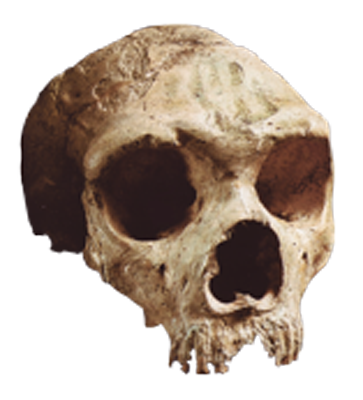 In 1864 a new species was recognized: Homo neanderthalensis. 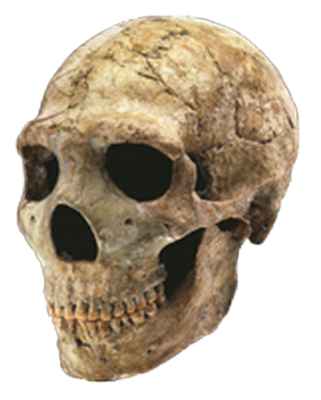 A remarkable find among Neanderthal fossils are the appearance of fractures of corresponding degree and location in both males and females, suggesting little to no division of labor. 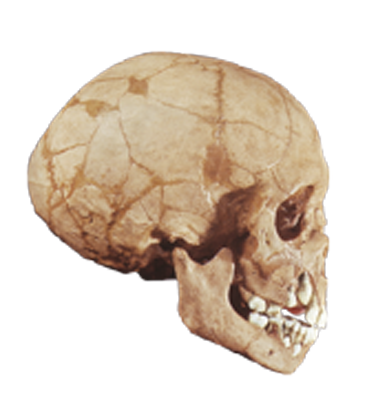 All specimens display very robust bodies adapted for Ice Age Europe with fairly significant dimorphism (males were approximately 5’8″/145 lbs vs females at 5’4″/112 lbs). 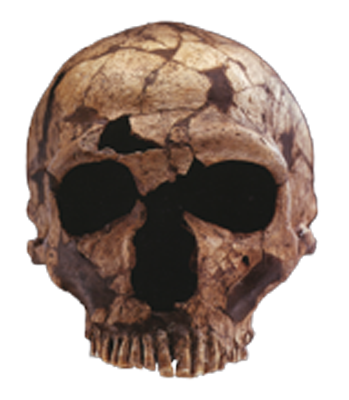 H. neanderthalensis skulls exhibit a massive double-arched brow ridge, midfacial prognathism, occipital bun, and a wide nasal aperture (helps to cool down the air so the hunting Neanderthal doesn’t over heat). Their dentition shows large, shovel shaped incisors with taurodont molors, and a “vice grip” bite capability. 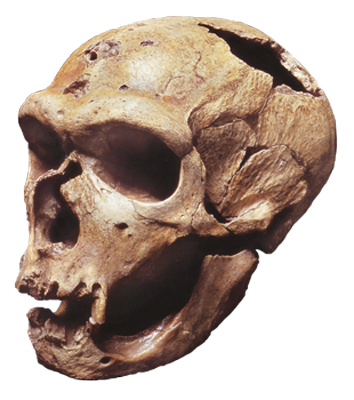 Neanderthals have the largest cranial capacity recorded for hominins at 1400 cc.